Flex is the destination summit for leaders engaging in the future of flexible work. The concept of work is no longer about a place but about being as productive as possible. Flex helps today’s leaders prepare their workplace and workforce for a new way of working across multiple offices, remote locations, and coworking spaces, with blended teams made up of freelancers, contractors, robots, and remote workers. Join technology, HR, and business leaders such as: Activision Blizzard, Bose, United Nations, IBM, Piaggio Fast Forward, Hubspot, Ava Robotics, Akamai Technologies, Career Builder, Waste Management, Yamaha Corporation of America, Kronos, Omega World Travel, PTC, CarGurus, Forrester Research, and many more. We’ll discuss the key decisions that business leaders are making to embrace flexible work and transform their organizations over the next five to ten years. This event and the content that follows will educate and inspire business leaders to shape the future of work. An exclusive industry event that brings together game-changing influencers and global forward-thinking experts, leading the future of work movement. Discover the ways that pioneers are rethinking how decisions get made and how work gets done to drive their organizations forward. We’ll discuss the key decisions that business leaders are making to transform their organizations over the next two to five years. For audiences motivated by opening up access, by happy feedback loops, and inspiring talks. Major themes of the event will focus on: key workplace trends, the new org chart, remote and distributed work, the impact of AI and robotics on flexible work, the future of communications and productivity and work/life balance. Whether you travel frequently, are in front of a desk all day or out “in the field,” this summit will teach the growing and future trends of remote and flexible work and how we can achieve a better work/life balance. Be part of the community that is shaping the future of flexible work. Network with innovative business leaders and engage in topics about flexible, remote work, and hybrid teams. Our program offers break time to chill out and recharge. Stay tuned for what we will have in store. This exciting summit will educate and inspire business leaders to shape the future of work. We are looking for pioneers to share their stories and expertise with our audience. Join us as a speaker. We’re thrilled you’ve decided to be one of the inspired visionaries attending Flex Summit 2019. 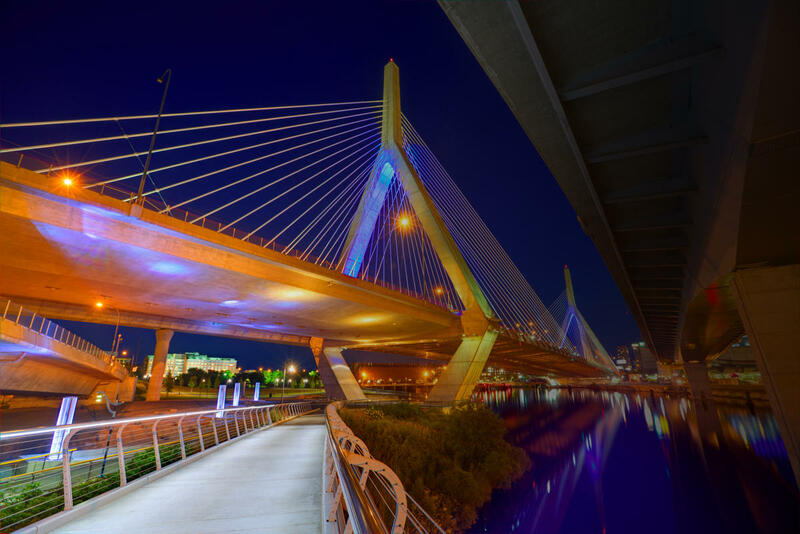 If you’re looking for help convincing higher-ups that this is a worthy investment—and it absolutely is—here are some tips and a sample email message (with a few blanks for your specifics) to help make sure you can join us in Boston on June 5. Being part of a dynamic community of culture builders will help your company’s bottom line, and demonstrating that will convince your manager that you need to be in that room. The best way to make the case, of course, is to connect what you’ll see, do, and learn at Flex Summit 2019 to your professional goals. If this event will help you achieve those goals, you can justify the investment of time and funds. 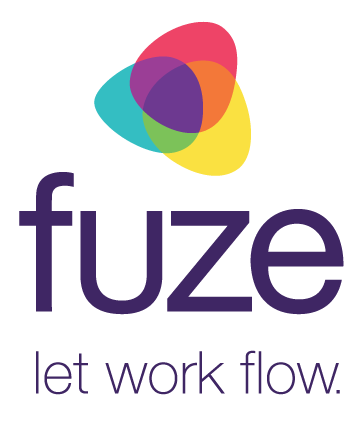 If you need specific info about any details that would strengthen your case, send your questions to flex@fuze.com, and we’ll answer them as quickly as we can. If you are interested in accommodations at the event venue, The Revere Hotel, please click here to book. The room block expires in early May. Sophie Wade is author of Embracing Progress. Next Steps for the Future of Work which is an Executive MBA Program and management leadership textbook. She has held senior management, strategy and finance roles around the world working in media, technology, and venture capital, for companies such as IMG, Yahoo, and SONY. Sophie has a BA from Oxford University and an MBA from top international business school, INSEAD. Sophie is Founder and Workforce Innovation Specialist at Flexcel Network, a Future-of-Work-focused consultancy. She helps companies to future-proof their work environments and create compelling, competitive, and digitally-integrated workplaces to attract, engage and retain their multigenerational and distributed talent. Michael Hopkins is an award-winning writer, magazine executive, and content strategy leader who finds and tells stories that illuminate the rapidly emerging future of work. He helped build the Inc. Magazine brand as its longtime executive editor, turned around the MIT Sloan Management Review, created The Build Network (the “catalog of ideas” for C-suite leaders at mid-sized businesses), and pioneered innovation research and digital publications for The Monitor Group, Boston Consulting Group, The Financial Times, and Dow Jones, among many. Elizabeth Kiehner leads a global, cross sector team responsible for C-suite engagement and business development at IBM. Her passion and creativity have impacted some of the world’s most recognized enterprises, and as an entrepreneur at heart, Kiehner excels at generating business results. She is a believer in the positive impact of human and machine collaboration and its benefits to the future of work. For two decades Kiehner has united creative, business, and technology teams to produce ground-breaking ideas for organizations including Google, Microsoft, Ford, John Deere, Viacom, American Express, Apple, Turner, Fidelity, Schwab, GM, GE, Khan Academy and many more. With a background in marketing and advertising Kiehner’s focus on digital reinvention bridges the gulf from traditional media to AI. Powered by a mission to transform customer experiences into meaningful innovations that drive growth, Kiehner’s day ranges from identifying and mentoring the newest crop of talent to capturing the pulse of an ever-changing data and technology landscape. Her strategy and sales acumen drive go to market teams for pioneering platforms and products designed for our data driven, cognitive era. Her thought leadership has been shared at TED, EG, Adobe, SxSW, CES, New Context Conference, Cannes, and Promax/BDA. Pavel is the VP Technology, Media Networks for Activision Blizzard, the world's most successful standalone interactive entertainment company. Blizzard is pushing the boundaries of esports fan engagement with online competition, rich media delivery, and interactive watch experiences. Its portfolio includes some of the biggest franchises in all of entertainment, developed by the incredibly talented teams at Activision Publishing, Blizzard Entertainment, King Digital Entertainment, Activision Blizzard Studios, Major League Gaming, and its independent studios, including Toys for Bob, Infinity Ward, Sledgehammer Games and Treyarch. Its central corporate operations provide shared services such as Finance, IT, Sales and Supply Chain, Human Resources and Legal. Ryan Merkley is CEO at Creative Commons. CC licenses are the global standard for sharing, supported by a distributed staff in the US, Canada, Chile, Brazil, and Kenya, and international community in over 80 countries. He is focused on building a vibrant, usable commons powered by collaboration and gratitude. Ryan is also the co-producer and host of Plays Well With Others, a podcast about the art, science, and mechanics of collaboration. Last year, CC launched Search, indexing over 270M images online, with a goal of including all of the 1.4 billion CC licensed works on the web. Ryan was previously COO at the Mozilla Foundation, and served as Director of Communications for Vancouver during the 2010 Winter Olympics. As Senior Advisor to former Toronto Mayor David Miller, he led the city’s budget, and launched its open data initiative. He lives in Toronto with his wife Kelsey, his daughter, and their dog Barkley. Alaa Murabit is a medical doctor, Canadian Meritorious Service Cross recipient, one of 17 Global Sustainable Development Goal Advocates appointed by the UN Secretary General, and a UN High- Level Commissioner on Health Employment & Economic Growth. In 2016 she founded a global Mentorship Programme for emerging leaders and co-founded The Omnis Institute, an independent non- profit committed to challenging critical global issues through the empowerment of emerging local leaders, and became the Executive Director of Phase Minus 1, which provides thought leadership in conflict resolution and inclusive security. Alaa previously founded The Voice of Libyan Women at the age of 21. An MIT Media Lab Director's Fellow, Ashoka Fellow and International Deliver For Good Influencer, Alaa serves as a board member for The Malala Fund, Women’s March Global, International Alert, and Malaria No More. Her efficacy in security, health policy & sustainable development was most recently recognized as one of Canada’s 25 Most Influential Women. She also received the 2018 Nelson Mandela International Award from The Mandela Family. In 2017 she was named a Forbes 30 Under 30, Aspen Institute Spotlight Scholar, and Bay St. Bull Canada's 30x30. Her leadership in global policy and in elevating the role of women, particularly young, minority women, on global platforms was recognized by Harvard Law who named her the youngest 2017 Woman Inspiring Change. Rosie leads a multidisciplinary team of designers and engineers focusing on research, design, and development of human robot interaction behaviors. She joined PFF in 2015 after graduating from the Harvard Graduate School of Design, and is one of the founding team members that invented the intelligent mobile carrier, gita®. Founded in 2015 by the Piaggio Group, Piaggio Fast Forward (PFF) creates lightweight, intelligent mobility solutions for people and goods. We design for a culture of movability that reduces congestion for our planet, enabling everyone to move more freely. Velocity today is more than speed and acceleration, it is mental and social. We aim to change the paradigm from seeing walkers as pitiable to powerful. We believe in technology that extends people's capabilities. Crossing threshold of mobility, activity, and variety with fluidity. Anywhere. Indoors, outdoors, home and work. Buy 3, get 1 free ($1125/each, regular $1500/each). Expires June 4, 2019.